Werner Rohde, born in Bremen in 1906, trained firstly as a painter at Burg Giebichstein, Halle (1925-27) an institute closely related to the Bauhaus at Dessau. He met Moholy-Nagy around this time. In 1927 he began experimenting with photography, and between 1929-30 lived in Paris where he formed a friendship with Paul Citroen. Rohde participated in the 'Film und Foto' exhibition in 1929 in Stuttgart. In 1931 Rohde returned to Bremen where he continued to work as a painter and photographer. In 1974 his photographs were rediscovered and exhibited in 1975 at the Kunsthalle in Worpswede where he had lived since 1945. 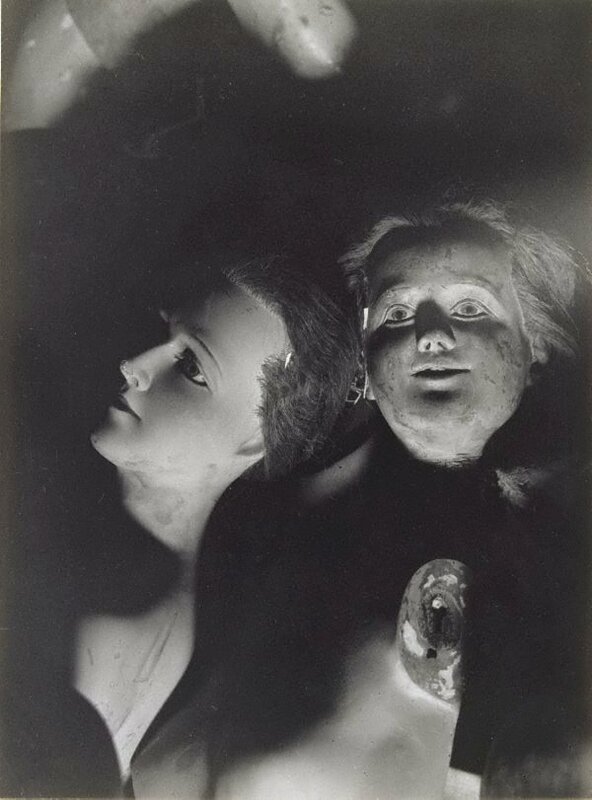 Rohde used mannequins in many of his photographs, so this is an excellent illustration of his work. The figures are carefully composed and lit, and seem to float in the dark and dramatically lit ground. Different parts of the mannequins fill the frame, making them monumental and fractured at the same time. Rohde's interest in the doll and the mannequin, has a surreal and expressionist edge.